Not everyone can live at the beach, in the country, on the mountainside—or chooses to: Some must reside in world capitals and walk the corridors of power. With a nod to the US presidential election and inauguration, Luxury Defined showcases a collection of premier properties in world capitals, situated near the official residences of heads of state or government leaders. Whether it’s a London townhouse suitable for dropping in at 10 Downing Street and Buckingham Palace, or a cool, contemporary Paris apartment near the Élysée Palace, it can be a pleasant walk to the corridors of power. The grand Georgetown townhouse enjoys a tranquil village atmosphere, yet lies just outside the political heartland of Washington, DC. 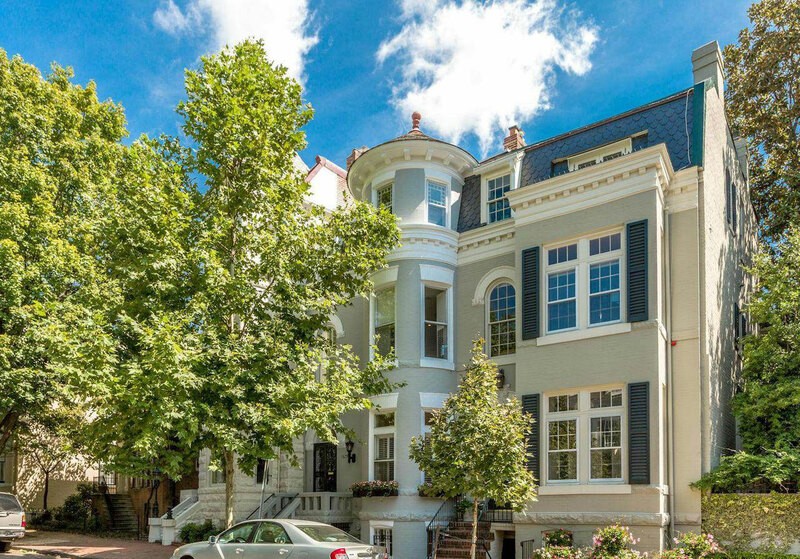 On a tranquil, tree-lined street in the heart of historic Georgetown, this grand Washington, DC, townhouse is just two miles from the pinnacle of US politics, the White House. Built in 1900, the property has been remodeled with careful attention to the original Victorian architectural details, such as painted hardwood floors, 11-foot ceilings, crown moldings, and two woodburning fireplaces. The living spaces cover 4,000 square feet across three levels and include five bedrooms, including four master suites, five full baths and one half bathroom, and a gourmet kitchen. Complementing this elegant home is a lovely garden, and an au-pair suite with its own separate entrance. A world apart from the bustle of central Paris, this spa-like sanctuary in the city’s exclusive 8th arrondissement is moments away from the Élysée Palace. This exceptional hôtel particulier, or grand townhouse, dates from 1880. But its grand Beaux-Arts exterior conceals a thoroughly modern soul, with clean, elegant lines in its interior spaces of tan, cream and palest gray. Its prime location in the 8th arrondissement of Paris is close by “the world’s most beautiful avenue”—the Champs Élysées—and minutes away from the magnificent Élysée Palace, the official residence of the president of the French Republic. Expertly renovated throughout, the residence comprises 4,520 square feet of floor space with living and reception rooms, two generously proportioned bedroom suites, and four more bedrooms with bathrooms. 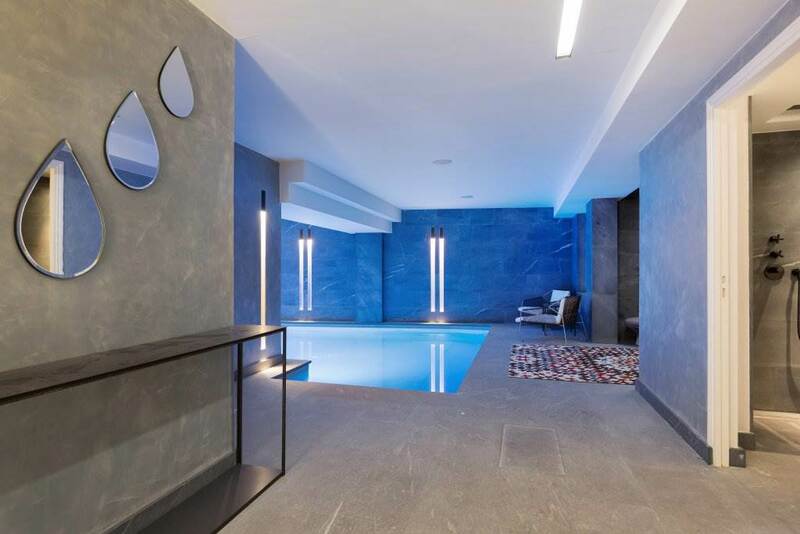 This sensational property also features a superb indoor swimming pool, Turkish bath, and home cinema. 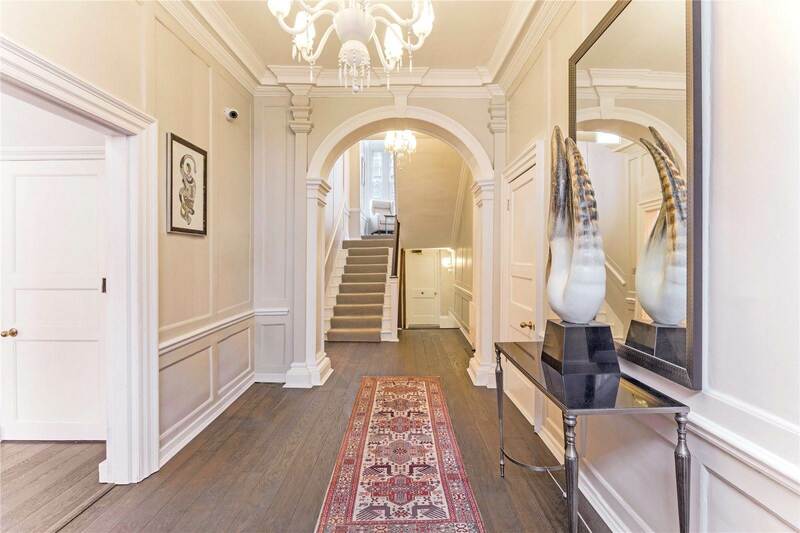 This regal townhouse in Queen Anne’s Gate, one of London’s finest streets, neighbors Parliament, Number 10, and Buckingham Palace. This circa-1704 townhouse is in the political heart of the UK in London’s Westminster, amid Buckingham Palace, 10 Downing Street, and the Houses of Parliament. Located in the prestigious Bird Cage Walk Conservation Area, Queen Anne’s Gate is renowned for its magnificent Georgian and Queen Anne architecture. It has also been inhabited by some of the most famous names in British politics and culture, including Prime Ministers Lord Grey, Lord North, and Lord Palmerston, the artist Joshua Reynolds, industrialist and inventor Isambard Kingdom Brunel, and more recently the musician Sting. This home at number 15 Queen Anne’s Gate also has a unique place in British television history: it featured as the home of Lord Brett Sinclair, played by Sir Roger Moore, in the 1960s’ series The Persuaders. Presented across three floors, the home spans 3,268 square feet with six bedrooms, four reception rooms, a gourmet kitchen, and patio garden. St James’s Park underground station is less than a minute’s walk for easy access to the City and the West End, while Victoria Station is a 10-minute stroll. In the Lisbon quarter of Lapa, this exceptional villa is 10 minutes from the Palácio de São Bento, home of the Assembly of the Republic (the Portuguese parliament). 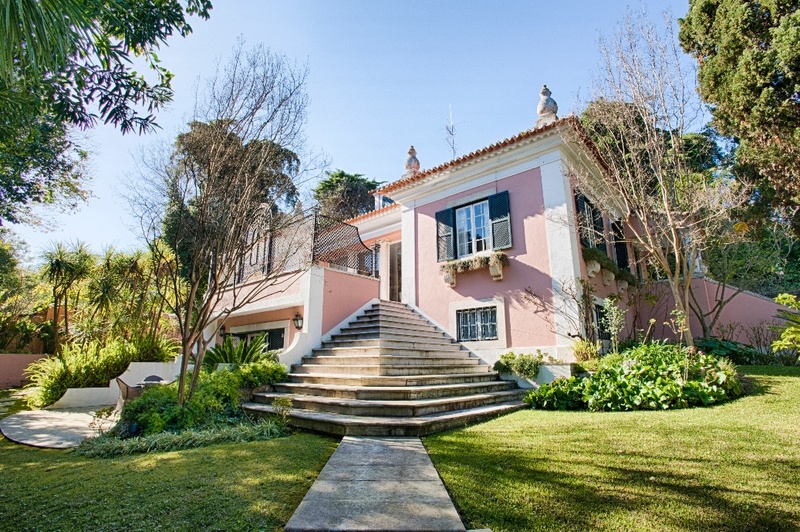 This monumental villa is in the Lapa quarter, one of Lisbon’s most exclusive neighborhoods, near Portugal's political headquarters, São Bento. The home’s unique architectural style is what the Portuguese call a palacete. The stately residence includes three floors with four en suite bedrooms. There are five more wood-paneled living spaces, one with a fireplace, as well as an office/library, a laundry room, linen room, fully equipped kitchen with a dumb waiter and a scullery, and a wine cellar. There are plenty of opportunities for alfresco entertaining with two terraces, one of which is covered, a veranda on the top floor, and classically inspired grounds with a swimming pool, barbecue area, and landscaped lawns. This former United States ambassadorial residence is near Rideau Hall (home to the Governor General of Canada) and 24 Sussex Drive (the official residence of the Prime Minister of Canada). The house at 400 Acacia Avenue is an Ottawa landmark. The property served as a United States ambassadorial residence for more than half a century due to its premier location in the wealthy enclave of Rockcliffe Park, known for its many diplomatic residences. Nearby is Rideau Hall (the official residence of the Governor General of Canada) and 24 Sussex Drive (the official residence of the Prime Minister of Canada). The property also “starred” as the home of Mr. and Mrs. Bridge in the eponymous 1990 film featuring Paul Newman and Joanne Woodward. 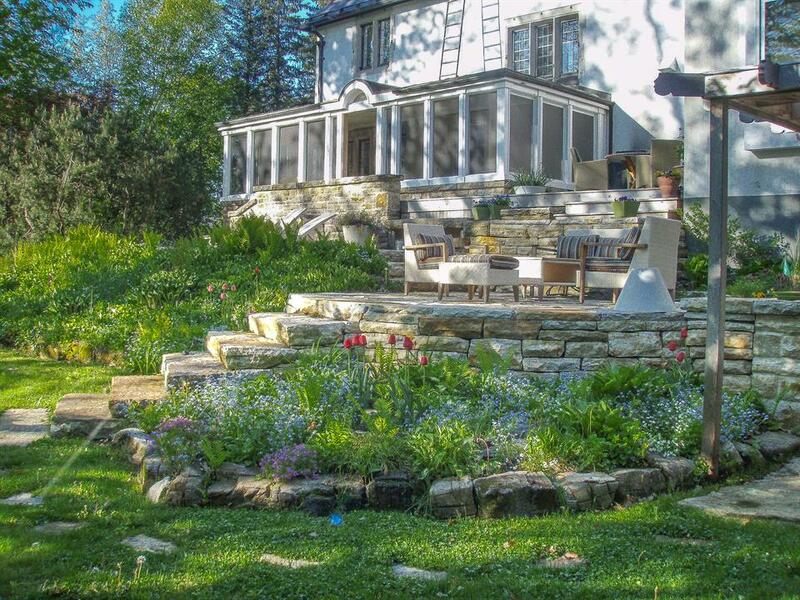 The stately, three-story house is well suited for grand-scale entertaining. Its sweeping circular driveway and portico lead to a dramatic foyer with a vaulted roof. The formal dining room is served by a butler’s pantry and open-concept kitchen. Other interior appointments include a library, study, family room with south-facing terrace, and an imposing staircase ascending to the private quarters.